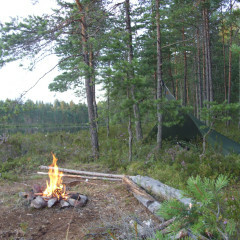 Our basic bushcraft trip is tailored for people whose time is limited, or the novice who wants a taste of bushcraft. This is an excellent way to experience the skills of bushcraft and enjoy all that the great northern forest has to offer. 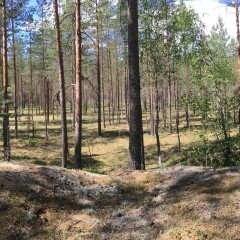 Join us on an overnight trip in the beautiful Finnish forests. You will learn to find your way in the nature with some basic navigational skills, firecraft, forest fishing, be relaxed in the great outdoors. Find and prepare basic forest snacks and drinks. Enjoy a relaxing evening fishing by a lake. 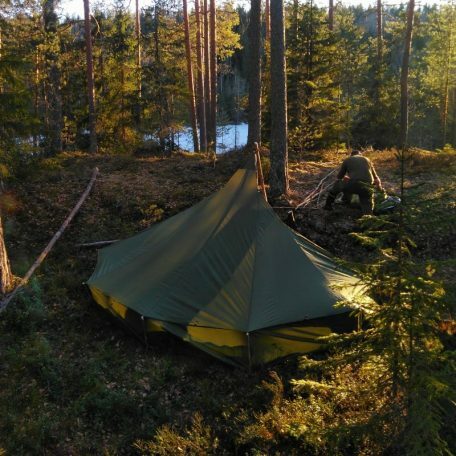 Experience a night in a traditional Finnish open shelter. The camping location will be decided according to the weather conditions and season. An example: The start for the trip will be 12:00 on day one and we finish at 16:00 at the latest the following day. Participants must bring clothing and footwear appropriate for the season. If you wish to use your own camping gear then please let us know beforehand so that we can discuss what is appropriate for this trip. If needed, you can also rent equipment from us, eg. backpack, mess tins, water bottle. You must bring your own sleeping bag. 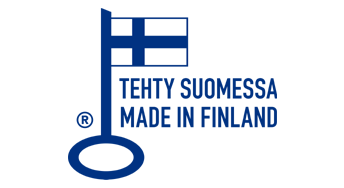 We will be sleeping under traditional Finnish Loue shelters for the night of the trip, however, if you feel you will be more comfortable sleeping in a tent, please bring one with you. Please let us know in advance. A Loue is basically an open-sided shelter similar to half a tipi or kota. It is a waterproof and very simple shelter which allows a fire for cooking and warmth to be built in front when needed. You will learn how to erect a Loue properly and set yourself up comfortably for the night. You will be supplied with and taught how to use a ferrocerium striker. It will be yours to take home at the end of the trip.